Lucky Domus San Giovanni price per day from € 129 Set 150 metres from San Giovanni Metro Stop in Rome, Lucky Domus San Giovanni offers self-catering accommodation with free WiFi. The 3-bedroom, air-conditioned apartment comes equipped with a flat-screen TV, balcony and kitchen. 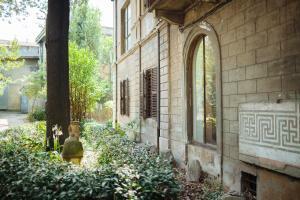 Lucky Domus San Giovanni is set a 20-minute walk from the Colosseum. Elegant Apartment Behind the Colosseum . Re Art Monti Apartments . Impero Vaticano B&B price per day from € 75 Located in Rome, 300 metres from St. Every room is equipped with a private bathroom with a bidet and shower, with free toiletries provided. The Vatican is 400 metres from Impero Vaticano B&B, while St Peter's Square is 500 metres from the property..
Holiday Home Giulia & Francesco Boasting a panoramic terrace with dining area, swing chair and BBQ, Holiday Home Giulia & Francesco is 700 metres from Rome's Battistini Metro. You can find all services in the immediate surroundings. It consists of a double bedroom, a bathroom with washing machine, living room and separate kitchen..
Opera Rome Apartment Centrally located in Rome, Opera Rome Apartment is a 6-minute walk from Termini Train Station. Elegant apartments will provide you with a seating area with a satellite flat-screen TV and an equipped kitchenette with a microwave and an oven. The opera house, Teatro dell'Opera di Roma, is 120 metres away..
RomExperience Colosseo 2 price per day from € 71 Set 300 metres from Santa Maria Maggiore and 600 metres from Quirinale, RomExperience Colosseo 2 offers pet-friendly accommodation in Rome. The holiday home is fitted with air conditioning and free WiFi. Towels and bed linen are provided in this self-catering accommodation. 102VaticanoSuite price per day from € 300 . 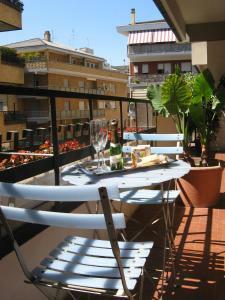 Your Flat in Rome Featuring free Wi-Fi, Your Flat in Rome is located in Rome. The air-conditioned apartment includes a terrace and seating area with flat-screen TV. 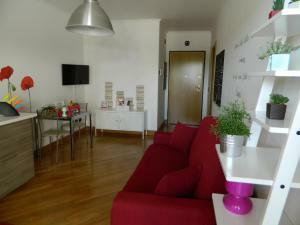 Minerva B&B price per day from € 39 . 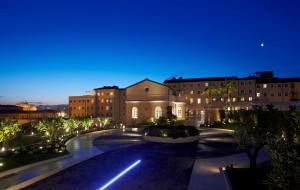 Gran Melia Rome price per day from € 260 . Relais Vatican View price per day from € 84 . Il Fascino Di Roma price per day from € 12 . 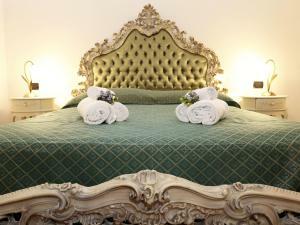 B&B Little Queen price per day from € 240 . Rome, the "eternal city", is so labelled due to the fact that it is a area of fantastic charm, beauty and way of life. Rome is an ecletic town: the religious world center of Catholic Church, the amazing ruins of the heart of the Roman Power, and modern-day, dynamic Rome. All 3 appear unrelated, yet they live within and next to one another with fantastic ease. You will quickly understand that Rome was developed to control and overrule the Europe. Every little thing is on a huge range, sturdy and "everlasting". Rome is far-off from being actually a town-museum: it's a vibrant and energetic modern town which is nonetheless an attractive spot even when you're not fascinated with past. The cuisine, the customs, the atmosphere and the neighboring scenery make a fantastic vacation even if you do not explore a single church or museum. Rome really isn't quite as disorganized and turbulent as it seems initially, and with a little planning you can prepare and have fun with a great as well as time-efficient vacation. Even though you must be readied for inevitable troubles such as strikes and institution closings, they are definitely not very frequent and a little bit of adaptability or a alternative program should stop these from ruining your vacation. Generally, Rome's primary tourist attractions are cost-free - for instance, even though it does not cost anything to go into the Pantheon you'll need to pay to explore the museums etc. 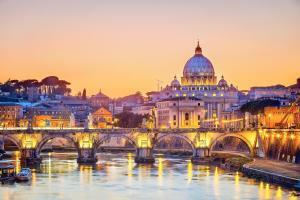 As soon as you have booked airline tickets, one of the most crucial thing is to book your hotel or apartment in Rome. Organizing as much ahead of time as feasible will give you the largest selection of resorts, hotels and apartments and discount rates. Prices begin at approximately EUR50 for a single room in a cheap hostel and the sky is the restriction when you're searching for high-end hotel. As an substitute to a hotel, why not think about a holiday apartment rental alternatively. Holiday apartments from Travel-Italy.co.uk are an outstanding choice for whole families and big grouops going to the Rome town and make an perfect base for uncovering Rome. Socialize with the residents and experiment with your own take on Italian cuisine by selecting an apartment rental on your upcoming travel to the Italian principal city. 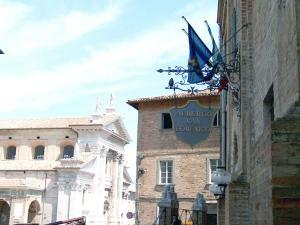 Much of the tourist attraction of Rome is in just roaming all over the old town. You can swiftly run away from the main traveler paths and really feel like you are in a little middle ages settlement, certainly not a capital town. Among the best sights is at the top of the Vittoriano. This could be reached by going to the middle level terraces of the facility then afterwards paying seven EUR to ride the lift up to the top of the facility. This provides spectacular sights over the entire town with useful charts to assist you recognize just what it is that you can view. Sights of the town can likewise come from getting to the top of number of hills, probably the authentic "seven hills" of Rome, or various other that encompass them. The 2 most well-known sights of Rome are from the Janiculum hill overseeing Trastevere and the Pincio at the border of the Borghese Gardens. Check out the arch entries of larger Palazzos to see amazing yards, equipped with statues, water fountains and beautiful gardens. Take a walk in the place between square Navona and the Tiber river in Old Rome where artists still carry on their trade from little stores. Additionally in Old Rome, take a 800 metres walk downward via Giulia, which is stuffed with numerous old buildings. Movie fans will prefer to explore via Veneto in the Modern Center. Vatican Museum is the home of wonderful work of arts in palaces initially developed for Renaissance popes for instance Julius II, Innocent VIII and Sixtus IV. The majority of the subsequent add-on were made in the 18th century, when invaluable artworks collected by previous popes were first placed on program. 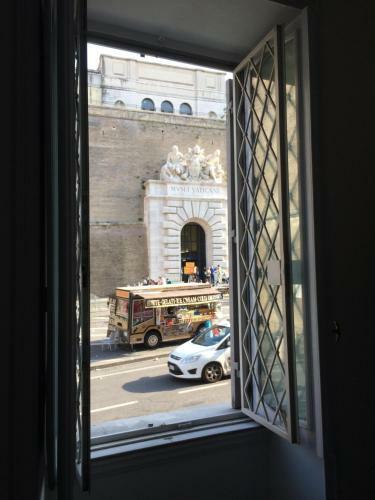 Palazzo Altemps: Simply close to from the Piazza Navona, this Renaissance palace got its strange name when it was purchased by an Austrian-born cardinal in the 16th century. Seized by the government in 1980s and not opened as a museum till the late 1990s, it continues to be among the Rome's best-kept secrets. Inside is an entrancing collection of classical sculptures. Ostia Antica: Guests to Rome who attempt to take a tour to Pompeii typically leave dissatisfied by the negligence and bad planning they stumble on there. Ostia Antica, no more than 30 kilometres from Rome and reachable by train service, provides a completely more civilised (and likely more useful) adventure. Ostia Antica was the harbor of Rome, Europe's most significant state. Galleria Borghese located on the place of the attractive Villa Borghese Park is well known for its outstanding compilation of classical statues, especially Bernini's delicate marble of Apollo and Daphne and his determined David, and Canova's marble representation of a reclining Pauline Bonaparte. Art works in the museum feature ones by Caravaggio, Raphael, Correggio and various other expert Renaissance artists. National Gallery of Modern Art: Recognized in Italian as the Galleria Nazionale d'Arte Moderna, this modern-day art gallery display art from the 19th and 20th centuries. Italian painters, featuring Giorgio de Chirico, Alberto Burri, and Luigi Pirandello, are properly exhibited in the National Gallery's collection, as are well-known worldwide artists for instance Van Gogh, Goya, Renoir and Kandinsky. Museo Nazionale dell'Alto Medioevo: Searching for tracks of the "dark ages", possibly the last spot you would begin is the EUR area. However it exists, in a much less known museum, that you can gaze on proof that the period of time that came after the collapse of the Roman empire was not as dark as is typically assumed: nicely embellished weapons; extremely complex tapestries; attractive jewelries and necklaces. Rome has outstanding shopping opportunites of all types - outfits and jewellery. If you would like to spend a day in a big shopping mall, there's the Euroma2 with around 230 stores and dining establishments, to be looked for close to the EUR area If you wish to get memorabilias or presents, a museum or art gallery would be the most awful option due to the fact that there are lots of stalls throughout the roads of touristic places that provide a much affordable rates. It is more than likely that the exact same thing in the gift store of any gallery will be priced at far more. Top shopping places include via del Corso, via Condotti and via Cola di Rienzo; best designer shops are all over via Condotti, while via del Corso has more budget-friendly shops. Fountain Trevi, Rome, 0.1 km from the centre of town of Rome. Church San Luigi dei Francesi, Rome, 0.7 km from the centre of town of Rome. Villa Borghese, Rome, 1.4 km from the centre of town of Rome. Basilica San Clemente, Rome, 1.7 km from the centre of town of Rome. Church San Giovanni in Laterano, Rome, 2.3 km from the centre of town of Rome. Basilica San Paolo Fuori le Mura, Rome, 4.8 km from the centre of town of Rome. Golf club Olgiata (West), 18.1 km from the centre of town of Rome. Ski resort Monte Livata, number of cross country pistes: 38km. 51 km from town of Rome. Ski resort Campocatino, altitude: 1500m. 71 km from town of Rome. Ski resort Ovindoli, number of cross country pistes: 50km. 89 km from town of Rome.